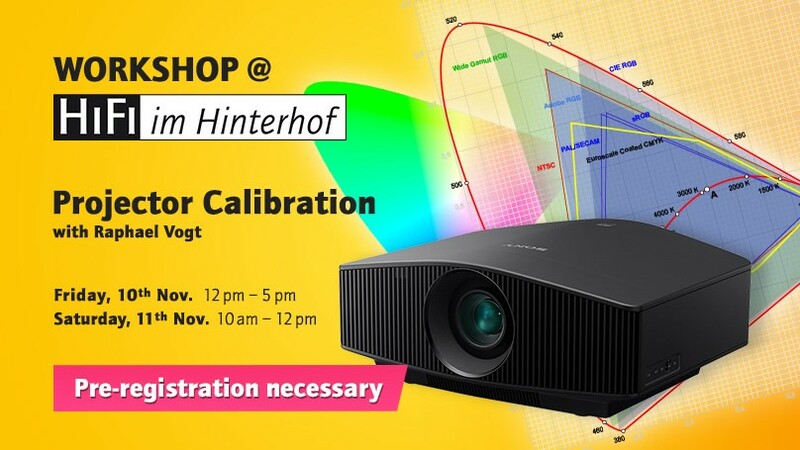 The calibration of your projector is carried out using professional measuring technology and costs 125 €. In addition, we will be offering projector lighting at reduced prices. A binding registration in advance is necessary since we have only limited appointments on Friday 10th November from midday until 5 pm and Saturday 11th November 10 am until midday each session is 1 hour in duration. Please know that you are also able to bring your projector to us in advance. You will then be given an available appointment.